The latest information from the game's official website. 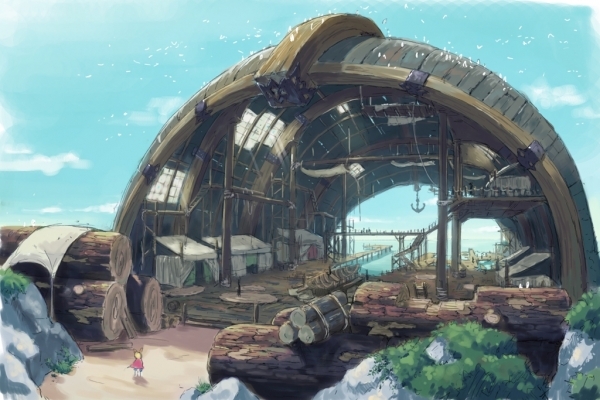 Level-5 has updated the official Japanese website for Ni no Kuni II: Revenant Kingdom with new screenshots and information on the water country of Thalassea, the port town of Capstan Upon Hull, a new Kingmaker named Brineskimmer, Kingdom Mode, and skirmishes. 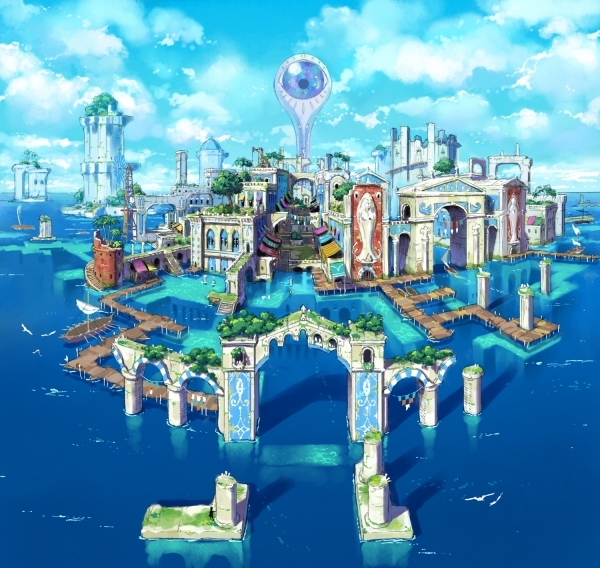 Thalassea, a water country ruled by the beautiful Queen Homedias. It is said to be a country of strict law enforcement and control, and whose people are constantly monitored by the “Eye of the Queen” that projects from the sea. 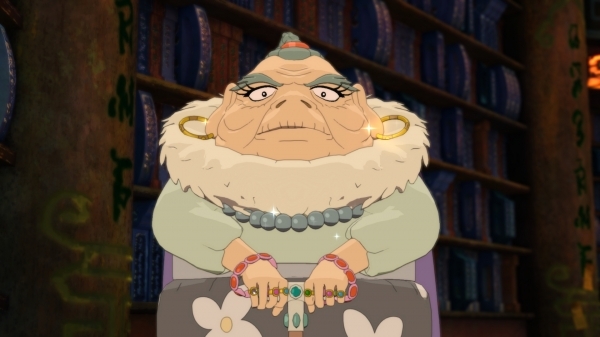 A close associate of Queen Homedias of Thalassea. He is frighteningly sharp, but is no match for the Queen, who ends up stomping on him with high heels. He is cold enough to make extremely “strategic” judgments. “Why would the populace gather for an inexperience man like yourself? The beautiful queen that rules over Thalassea. She keeps the people in order with various strict laws, but keeps the country at peace through the skills of Leander. There is a major secret known only by the Queen and Leander, which is connected to the reason she imposes such strict laws. Capstan Upon Hull is a small port town that makes a living off the shipbuilding business. There seem to be skilled shipbuilders here. However, the town has few people and an unusual atmosphere. It seems that some sort of accident occurred here. The Kingmaker of Thalassea. At the bottom of the sea, there is a king’s cradle that rarely manifests. Brineskimmer can swim around freely in the sea, and specializes in water and ice attacks. It is accompanied by a servant called “Odis, the Sea God,” who also possesses great power. 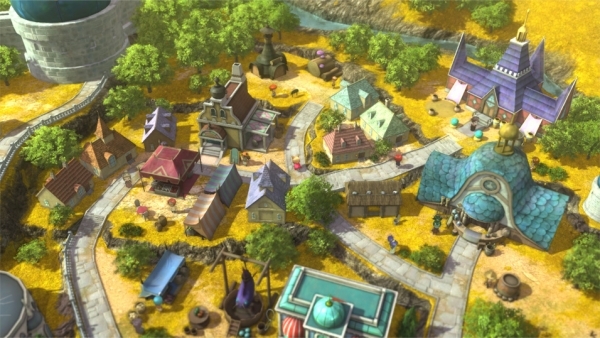 Expand your territory, construct buildings, and put talented individuals to work! Weapon and armor production workshops, magic research establishments, shops… by constructing buildings and putting talented individuals to work within them, you can produce the items and abilities necessary for Evan’s journey. 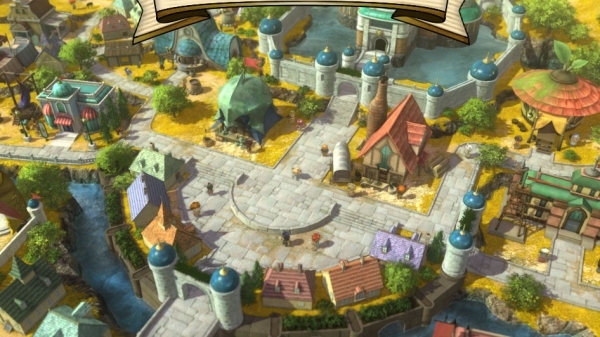 Assemble talented individuals from the world of Ni no Kuni! A country is defined by its people. As a country gets bigger, its people multiply, and as its people multiply, the country gets bigger. In order to increase your country’s power, it is necessary to gain the trust of the people as king and give everyone the thought, “I want to live in Evermore.” Scouting talented individuals will contribute significantly to the development of your country. 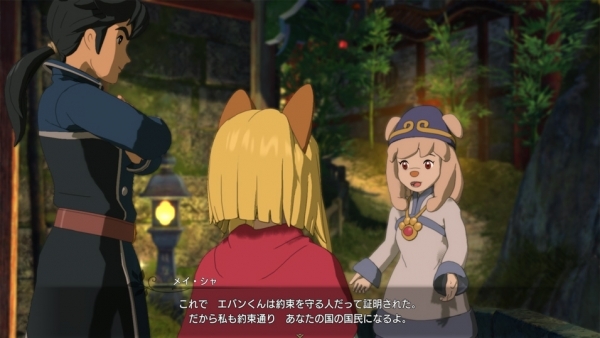 In Ni no Kuni II: Revenant Kingdom, there are “skirmishes” different from your usual adventure during which it is necessary to advance as a country and as an army against enemies and monsters. 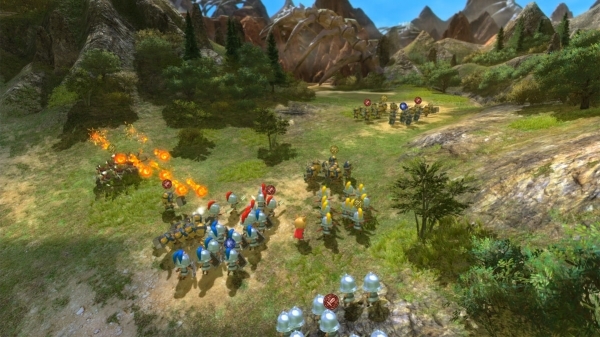 During a skirmish, the entire field becomes the battlefield. A strategic brawl! Units have affinities. 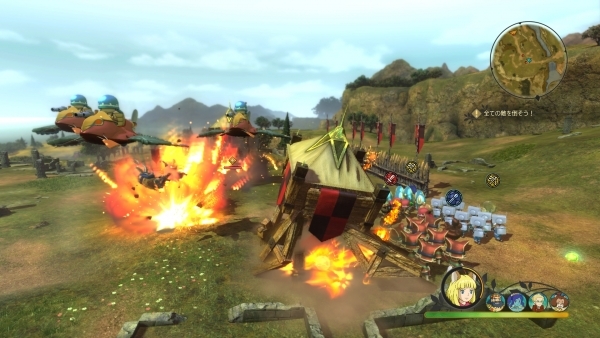 Controlling the better army class is the key to victory. 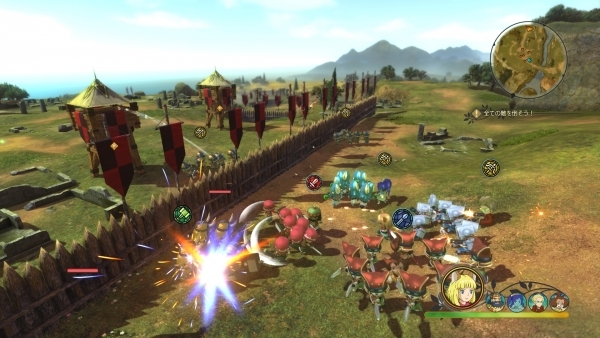 Rotate your units and respond to the challenge of the approaching enemies! Each commanding officer has their own tactics. Make skillful use of these tactics to win the battle. 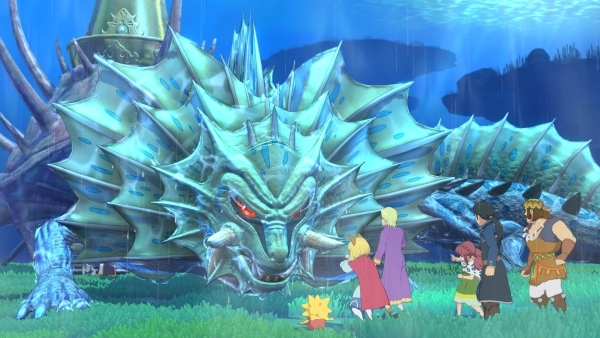 Ni no Kuni II: Revenant Kingdom will launch for PlayStation 4 and PC on January 19. If you missed it, catch the Gamescom 2017 trailer here.